Google play has allowed to publish more than 2.7 million applications for smartphones with the Android operating system, since 2008, when it was launched, until today. Many applications have changed the lives of people, improving it. There are applications for each category and every type, ranging from utility to fun. What began to missing in thes applications was the human contact. Lately, in the google play, there is a new class of applications that brings people closer together, and brings human touch, sharing and alignment into the foreground. This new class of applications is represented by the Buddy Challenge application. 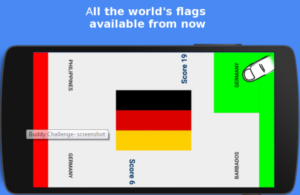 that this application introduces is the one that allows you to play in company with people who are physically close to you, without challenging friends who are just a few miles away. That each of us felt as a child, playing with friends, before finishing within the circle of today’s technology. 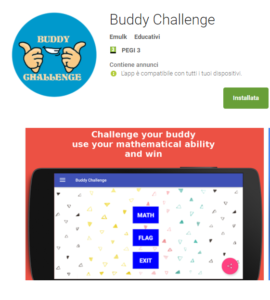 Buddy Challenge allows you to challenge and play with people around you, using a simple and elegant design, and is suitable for every type of person and age.